So welcome to the about ME (Colin Williamson) blog post. I didn’t realise how hard it was to write about yourself, but I’ve found out that self-reflection is actually good. Who would have thought that a tiny 8lb baby born and raised in a tiny Yorkshire mining village in the Uk would have ended up in Sydney, Australia? Wow, certainly not me. I grew up wanting to be a Pro Footballer since the age of 8, which is when I started playing and I almost made it. I got to Semi Pro level with a whole host of professional clubs watching me and then at the age of 25 I had a compound fracture of my tibula and fibula (ouch! ), that was the end of everything I had dreamed of. But I see it now as a blessing in disguise. My first real job was in sales working for the Wakefield Wildcats Rugby League team selling ground boards, commission based. I then quickly moved on to Kahn Design in 2006 which is where I had my first taste of marketing. I then ran my own business for 2 years and also helped other companies to market their services both online and offline as a freelancer. I would have classed myself as a minnow in digital marketing until 2013 when I was accepted for a job with Google where my mind just exploded with colours, words, numbers, interfaces and algorithms. I spent my first year and half as a Campaign Specialist helping over 200 businesses a month increase their revenue via Adwords. I was then promoted to the Agency team as an Agency Campaign Specialist where I helped over 160 agencies with Adwords best build practices and optimisations, I helped them to understand available Adwords Beta Products and I also pitched to clients such as Yokohama, Renault, Subway and Waitrose on the agency’s behalf to gain business. By mid 2015 I was an Adwords “genius” and had passed all of Google’s available Adwords Exams. So I decided that I wanted to learn other areas of PPC/SEM and I moved to iD30 as Head Of PPC. There I learn’t the basics of Seo and Social media whilst teaching the crew about Adwords. I was involved with international Blogs, Webinars and was recognised as one of the top 20 Adwords experts in the UK. 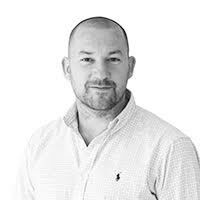 When I left for Australia iD30 had seen their Google rank increase from being in the top 8000 to the top 250 agencies in the UK. And so this brings me to Reef Digital, which happened by chance via a Linkedin invitation, the gods obviously had a plan. The team here are at the top of their game in every sector and I was surprised to see how down to earth and genuine everyone was. Which is why I am so happy to be here and the clients I have spoke to are too. In the near future hope to bring my knowledge of Adwords to Reef and help both my colleagues and clients to reap the benefits of it. Search – Reef can help you advertise effectively on the Search Network. 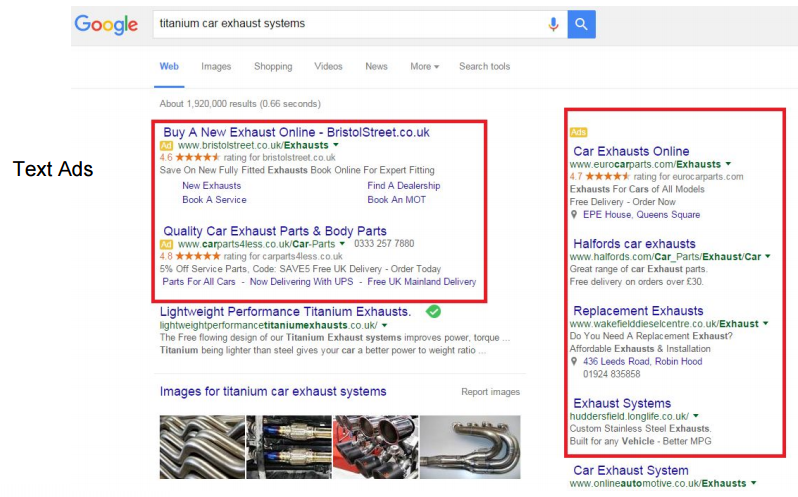 When someone types in a search term on Google and it contains one of your Keywords this triggers your Ad to appear (Ad Ranks 1-3 are above the organic searches and Ad Ranks 4-11 are down the right hand side) you only pay when someone clicks on your Ad. This is the most relevant network and is used for leads, sales and conversions. Cost Per Click can range from $0.50 to $100 dependent on the keywords used. We can help you to get the best Cost Per Click by manipulating the Quality Score which increases Ad Rank and decreases Cost Per Click. 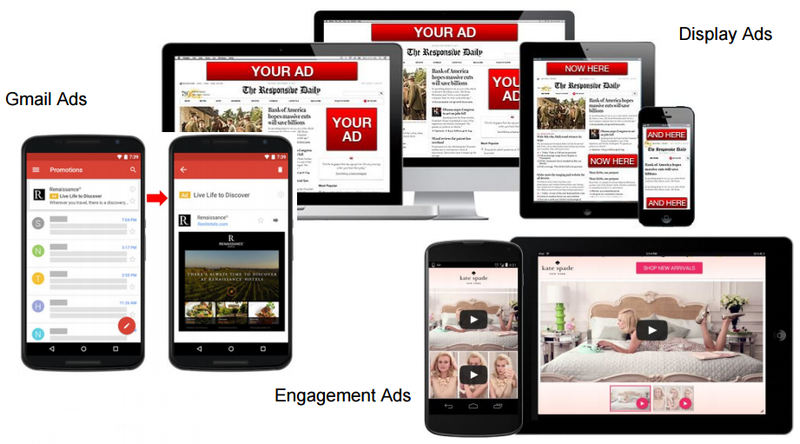 Display – Reef will show a range of banner ads to a group of more than a million websites, videos, and apps. 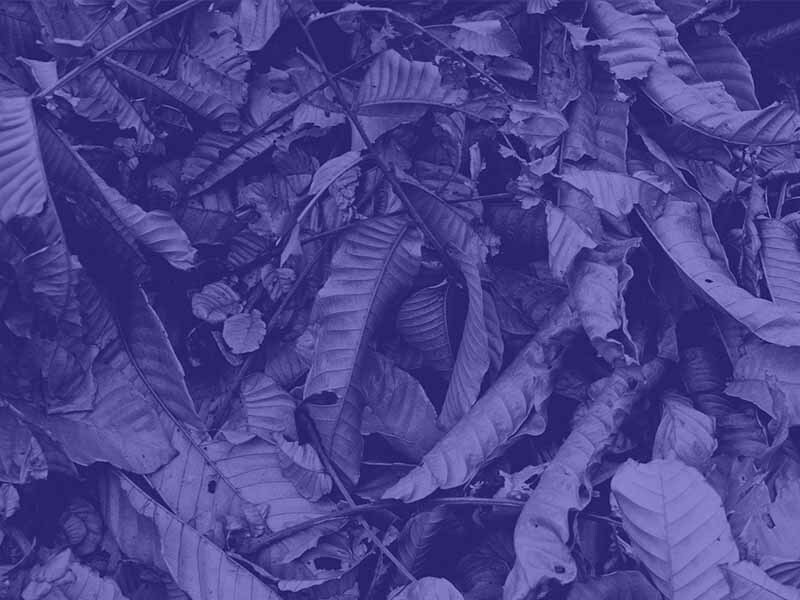 Your ads will be automatically matched to websites and other placements like mobile phone apps, when your keywords are related to the sites’ content. We can also choose to target specific sites, pages about specific topics, demographic groups, and more. The Display Network is great for Brand Awareness and also Conversions from the people that slip out of the Search Network net. Cost Per Click ranges from $0.30 – $0.50 a click. It is also great for free advertising as you only pay when someone clicks on your Ad, so thousands/millions of impressions go uncharged but yet potential clients still see the Ad. We also have new products available such as Lightbox Ads where we can show videos and a shopping catalogue within an expandable full screen Ad as well as Gmail Ads. Remarketing Ads are also available in this Network. Youtube Video Promotion – Reef can help you benefit from the hundreds of millions of views on YouTube. 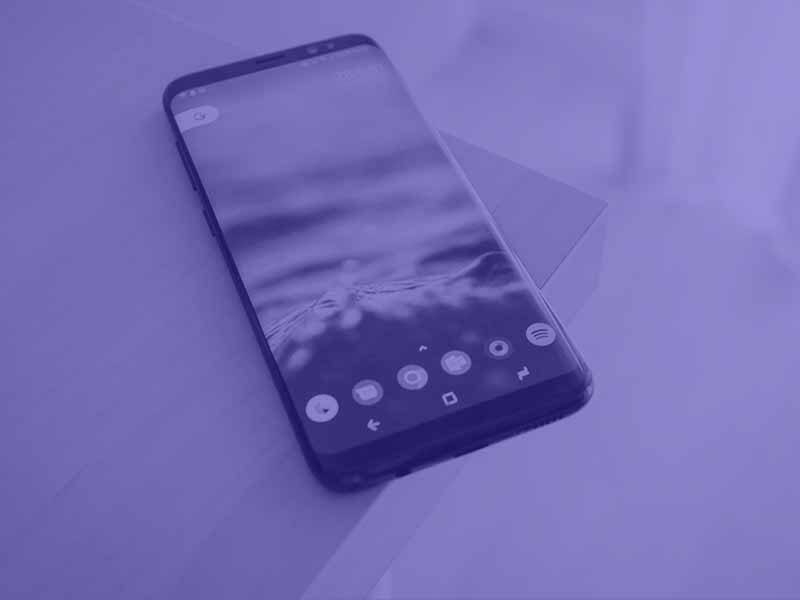 We can currently target any ad format — image, video, and text — to different placements on the YouTube site, we can also target videos by Topic, Keywords and they can be aimed at people with certain interests and demographics. 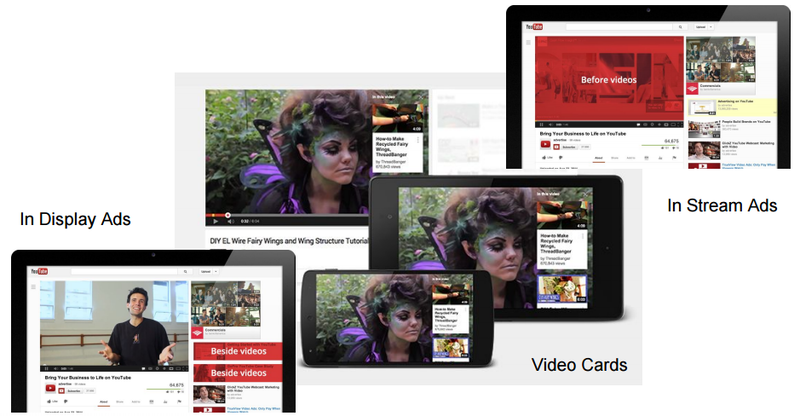 Youtube is essential to any business and like display is used for Brand Awareness and Sales. It is by far the most cost effective at between $0.05 – $0.30 a click. New services such as Non-Skippable Ads and Shopping Cards are available within this network. 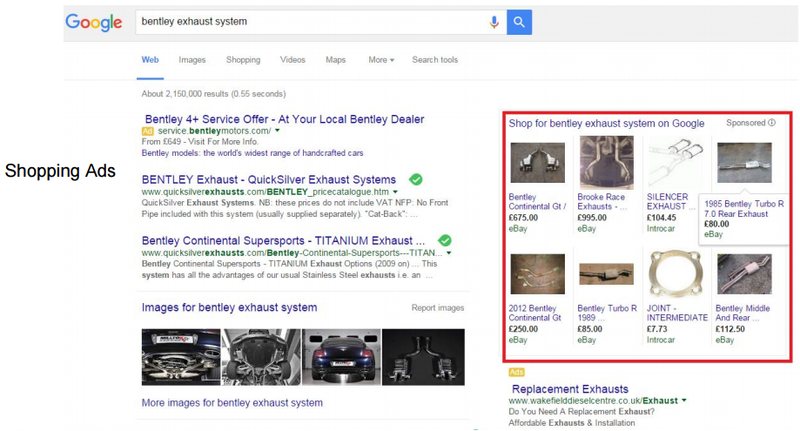 Google Shopping – Reef will create Product Listing Ads to show a set of relevant products for a given search. The ads appear in their own box on Google Search (separate from text ads). We include an image, title, price, promotional message, and your store or business name inside the ads. Cost Per Click ranges from $0.30 – $5.00 a click. We also help you to implement Seller Ratings and Product Reviews. We also have access to new Beta Shopping products in Display and Youtube. I-Want-To-Know Moments – Someone is exploring or researching, but not yet in purchase mode. They want useful information and maybe even inspiration, not the hard sell. I-Want-To-Go Moments – People are looking for a local business or are considering buying a product at a local store. Being there means getting your physical business in their consideration set in that moment. I-Want-To-Do Moments – These may come before or after the purchase. Either way, these are “how to” moments when people want help with getting things done or trying something new. Being there with the right content is key. I-Want-To-Buy Moments – These are huge, of course. Someone is ready to make a purchase and may need help deciding what or how to buy. You can’t assume they’ll seek you out; you have to be there with the right information to seal the deal. With the right foundations, tweaks, tests and optimisations an Adwords account can help to generate untold riches in Revenue, Traffic, Leads and Brand Awareness. So please don’t be afraid, speak to myself and the team at Reef and we can and will capture all these moments and put you at the forefront of the Digital Empire. What a post! Welcome to the team Colin, we’re glad to have you and hope Sydney turns on the good weather for you these next few months.